We are enriched with a large variety of scanners that are enriched with latest technology. All kinds of advanced features are present in these scanners. 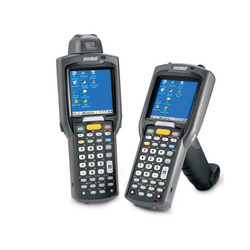 The variety of our scanners include Motorola wired LS1203, Motorola wireless MC-1000, Motorola bluetooth LS-4278, Motorola wired LS9208, Barcode Scanners, and Motorola wireless MC-3090. 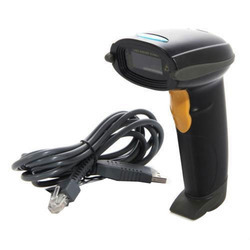 The world class performance of these scanners has made them popular in the market. The Motorola Bluetooth LS 4278 Scanner has no cords, making it easier to handle. It is considered as an icon of innovation as it is Bluetooth enabled. You do not need to point at the exact location because of its rastering pattern and it has a scanning radius of 15m. The scanner is handheld and uses laser technology and is best suited for healthcare, retail and both industrial and light environment. 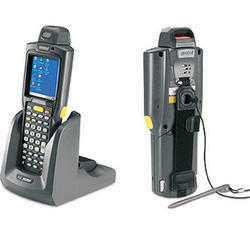 For small retailers, the Wired Barcode Scanners (LS1203) is best suited and is created to deal with all 1D bar codes. 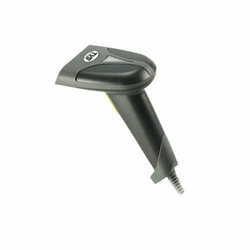 Wired Barcode Scanners has minimal use of manual keys to ensure accuracy. The construction is very sturdy and robust but at the same time is also light in weight and smooth in design. It is known to ensure accurate scanning and is very easy to integrate and install to a computer or any other host. We are amongst the top notch organizations, engaged in manufacturing, supplying, importing and exporting a uniquely designed array of Wired LS2208 Scanners. Our products are manufactured with utmost precision by our knowledgeable professionals, keeping the specific requirements of clients in mind. We ensure to deliver only those products in the market, which are in compliance with the set industrial standards. The Motorola Wired LS9208 is the perfect admixture of time saving and flexibility as it has the option of both handheld and hands-free procedure. You do not need to point at the exact location because with its rastering pattern of 100 line and omni-directional scanning, you can be swift about your business. It also has the ability to adjust data before sending it to the host. It does not take up a lot of space. Omni-directional scanning and 100-line rastering pattern: Eliminates the need for exact aim and positioning. Single-line scan pattern: Perfect for reading bar code menus and pick lists. Multiple on board interfaces: Protects your hardware investment with flexible host connectivity. Universal cables: Allows for easy replacement or upgrade. Small footprint: Fits into the tightest cash/wrap environment. Adjustable, multimount stand: Optimizes operator comfort and efficiency. Built-in shock absorption: Protects scan module assembly increasing durability. Flash memory: Facilitates updates and customization of product in the field. Checkpoint Electronic Article Surveillance (EAS) deactivation option: Saves valuable counter space with integrated antenna. Supports 123Scan setup utility: Facilitates setup using PC download. Reads GS1 Data Bar symbology: Ensures compatibility with new symbology. Compliant with Global Trade Item Number (GTIN): Capable of decoding and transmitting 14-digit GTINs, where appropriate. 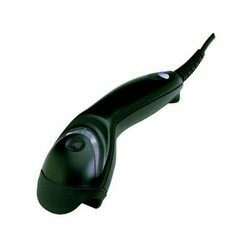 A scanner that best combines the code scanning abilities with entering data is the Motorola Wireless Scanners (MC 210). It is easy on your pocket and at the same time is flexible enough to adapt to any environment. Being light in weight also makes it easy to handle. It is a fast performer and has a fast processing ability. The scanner runs on either AAA or lithium ion rechargeable batteries. Even though it was created keeping in mind the business class, the Motorola Wireless MC 3090 Scanners has been able to extend its advantages beyond the industrial cluster. It is light in weight and the grip is an ergonomic pis tol design which makes it easy for use throughout the day. It is equipped with a colored touch-screen. With its wireless networking, it has the ability to connect to any wireless LAN. The Motorola Wireless MC 3000 Scanners is nothing short of a wireless handheld portable computer which is marvelous at all its applications. It is compact and has a firm yet comfortable grip, making it easy to use all day long. It gives the scanning information visually on the screen along with an audio feedback. It also has the option of Bluetooth. The keyboard makes it easy to type in additional data. Well-balanced gun form factor: Comfortable to use in intensive scan environments for prolonged periods. 320 x 320 resolution color/mono display (with backlight): 30% higher resolution than 1/4 VGA allows easy viewing in many environments for increased accuracy. Wireless 802.11b/g/a LAN connectivity: Provides real-time data exchange for maximum productivity. Bluetooth option: Enables use of and wireless connection to a range of devices. Rugged design: Withstands multiple 4-ft drops (1.2-m) to concrete across Operating Temperature Range and up to 500 tumbles. Intel® XScale PXA270 processor and Microsoft® Windows® CE operating system: Delivers high-speed CPU performance through familiar interfaces with wide software application support. Keyboard options include 28, 38 and 48 keys: Provides multiple data entry modes for maximum efficiency. Device management with Mobility Services Platform (MSP): Enables real-time monitoring of critical mobile computer and wireless infrastructure parameters. 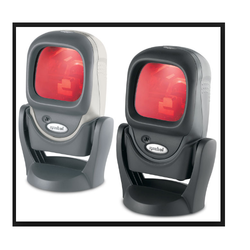 The Honeywell Wired Scanners ( Honeywell wired 3200 ) is both cost effective and promises a wide range of applications. The pis tol-style design makes it easy on the index finger even after long hours of use. It comes with a two year warranty. Making use of the linear imaging technology, it has the power to scan barcodes at a considerable speed. It can also be connected to your computer without a hassle. 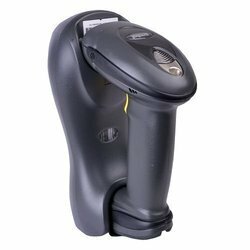 The Honeywell wired MS 1690 Scanners too is a hand-held scanner that guarantees a good performance as it uses linear imaging technology. The best thing about it is that it the ability to read scratched barcodes or even badly printed ones. It does so by making use of high resolution imaging. 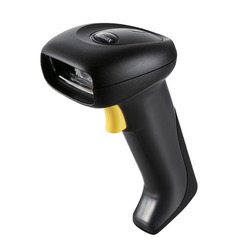 It is best suited to scan barcodes off tickets and coupons. 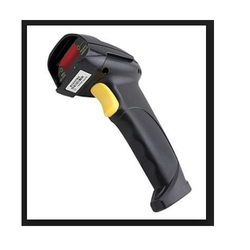 If you are engaged in high density scanning then the Honeywell wired MS 1690 is your best bet. 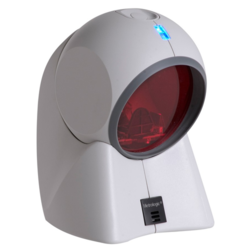 As the name suggests, the Honeywell Wired - Orbit Scanners 7100 looks like an orb and is omnidirectional and also hands-free. This was created for space management as it requires the very least of counter space. It is well known for scanning heavy and large objects. The scanner has the power to rotate 30 degrees which makes it easier to scan large objects. It comes with a desk mount or a wall mount. 7100 - the all-time, best-selling hands-free omnidirectional laser scanner—presents an innovative, elegant and affordable solution for convenience retail applications where counter space is at a premium. Recipient of multiple design honors, the 7100 has an award-winning shape that enables hand-held scanning of large, bulky items. The Honeywell Bluetooth MS 9535 Voyager Scanners makes use of both the Bluetooth technology and the automatic activation by the infrared technology. The scanner is also outfitted with the patented Range Gate technology, which makes it easy for it to scan barcodes even if it is out of the range of the host. You will get a confirmation of the scan both visually and audibly. It is best suited for apps that scans menu. VoyagerBT combines the freedom of Bluetooth® wireless technology with many of the outstanding features found in all Voyager® series scanners. 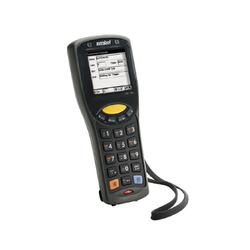 In addition to automatic infrared activation for bar code detection, VoyagerBT comes equipped with patented Range Gate® technology which allows the device to scan hundreds of bar codes when out of range of a host system. 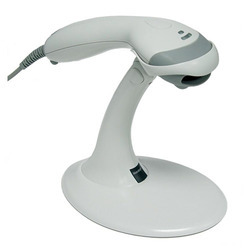 The TVS Wires BSC 101 Star Scanners is a well known handheld scanner with a higher degree of pixels of around 2500. This helps in decoding the tags easily. Along with this, the depth of field is high and so is the rate of scan. It has a sturdy body, thus making is suitable for use in all environment. It is also equipped with auto sensor technology, letting it be used in hands free mode. Number of pixels: - It has 2500 pixels, which increases the resolution of scanner and helps in better decoding of Barcodes. Higher Number of pixels makes it enable to decode faded barcodes and in making sharper scans. High Scan Rate:- The scan speed of 330 scans per second is highest in this category of scanners. This makes it fastest scanner in its class. Higher Scan rate will help in faster retail checkout and wherever quick decoding is required. High Depth of field:- Depth of field of up to 300 mm makes user enable of decoding from larger distances. Lower PCS (Print Contrast Settings): PCS is the ratio of the reflectance between the bars and spaces of a symbol) of 30% which enables it to read even slightly damaged/faded Barcodes. Auto Sense/Hands free:- It is enabled with auto sense technology which makes it enable to use in Hands free mode. Rugged Body:- Able to withstand drops of upto 1.5 m.
With a scanning depth of 220 mm, the TVS Wires BSC 101 Platina Scanners has the capacity to decode up to 60 characters. It is also the only scanner that can scan from that great distance. It also has the power to store information that it decodes from a tag. It is handheld and uses laser technology and has a trigger, which makes operating it easy and minimizes fatigue. It can also scan wide barcodes, the maximum being 11.8”. 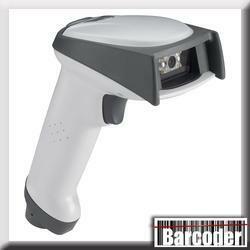 Scans barcodes with up to 60* characters: store more information of the product in one barcode! Aim & shoot trigger: the easy to trigger button gives operational comfort and reduces fatigue especially in peak hours! One of the most high speed 1D scanners is the TVS BSL 104 Platina Scanner, with a speed of 500 scans each second. It makes use of the Z-SCAN technology which allows it such supreme accuracy. In order to save space, there is a footprint, on which the scanner is mounted. 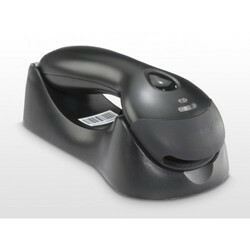 This allows it to scan variously shaped goods. It is also equipped with auto sense technology, allowing it be used in hands-free mode. Scan Rate - The scan speed of 500 scans per second (which is about five times the scan rate of Its nearest competitor) makes it the fastest in its category. PDF417 Decoding Capability - It has the ability to Decode PDF 417. Adjustable Stand - Can be used for different sizes of goods. 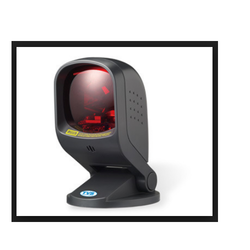 The solution for increased efficiency and cost reduction is the TVS BSL 201 2D Scanners which has the power to capture images in various image formats. The images are later modified in different sizes and resolutions. It is also equipped with auto sense technology, allowing it be used in hands-free mode. There is a footprint, on which the scanner is mounted to combat space crunch. With a sturdy body, it will be able to endure a fall from 1.5 m. Enhance efficiency and reduce costs with one stop solution for scanning applications. Multiple Image formats - Can capture images in different formats BMP(*.bmp),TIFF(*.tiff),JPEG(*.jpg).Gives the user a choice to capture images according to his requirement of resolution and size. Auto sense/Hand free - It is enabled with auto sense technology which makes it enable to use in Hands free mode. Adjustable stand - It comes with free adjustable stand. Gives flexibility of rotating scanner at different angels. 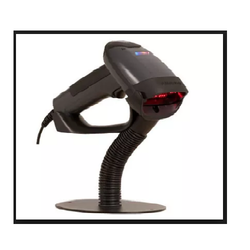 Rugged Body - It is able to withstand drops of up to 1.5 m.
The BSL 301 Platina Scanners is a powerful scanner that is also omnidirectional, even though it is a single line scanner. It has a magnificent speed of 1,200 scans per second. By just one click of a button the scanner can decode all tags, even the ones which are hard to read. Even though it looks too elegant, it is nevertheless sturdy in built. A suction cap is provided at the bottom to fix it in one place. Powerful Scanning Performance – With a 20 scan line omni-directional scan pattern, it has unbeatable 1st read success rate. Single line scan option –With a single push button, the scanner allows the user to scan hard-to-read or multiple barcodes on any object. Ideal for menu scanning. Vacuum pad for convenient operation – The suction cap ensures the scanner is fixed to the surface while you scan numerous items comfortably. Durable, rugged yet elegant – TVS-E’s BS-L301 Platina has built in stock absorption feature that makes it highly durable while its elegant and stylish design enhances the aesthetics of your store.